DMAS is the agency that administers Medicaid and the State Children’s Health Insurance Program (CHIP) in Virginia. The CHIP program in Virginia is called Family Access to Medical Insurance Security (FAMIS). Our mission at DMAS is to provide a system of high quality and cost effective health care services to qualifying Virginians and their families. The mission of NAPSA is to improve the quality and availability of protective services for disabled adults and elderly persons who are abused, neglected, or exploited and are unable to protect their own interests. The National Center on Elder Abuse (NCEA), directed by the U.S. Administration on Aging, is committed to helping national, state, and local partners in the field be fully prepared to ensure that older Americans will live with dignity, integrity, independence, and without abuse, neglect, and exploitation. The National Committee for the Prevention of Elder Abuse (NCPEA) is an association of researchers, practitioners, educators, and advocates dedicated to protecting the safety, security, and dignity of America's most vulnerable citizens. NCOA is a national voice for older Americans and the community organizations that serve them. We bring together nonprofit organizations, businesses, and government to develop creative solutions that improve the lives of all older adults. NIA, one of the 27 Institutes and Centers of NIH, leads a broad scientific effort to understand the nature of aging and to extend the healthy, active years of life. In 1974, Congress granted authority to form NIA to provide leadership in aging research, training, health information dissemination, and other programs relevant to aging and older people. Subsequent amendments to this legislation designated the NIA as the primary Federal agency on Alzheimer’s disease research. The Partnership for People with Disabilities, formerly known as the Virginia Institute for Developmental Disabilities (VIDD), is recognized by the federal Administration on Developmental Disabilities as a university center for excellence in developmental disabilities. SeniorNavigator Centers voluntarily provide free access and assistance with the website to our friends and neighbors without computers or internet access. 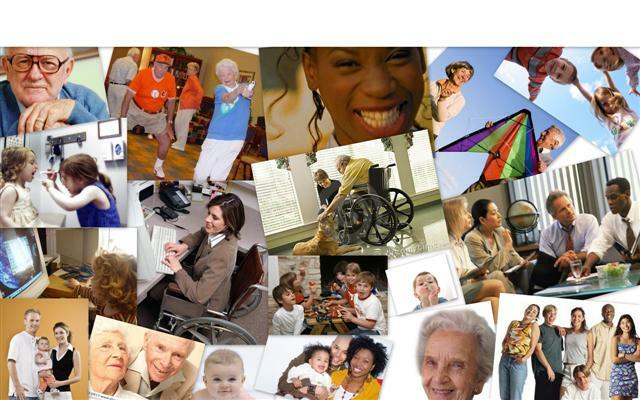 The Virginia Center on Aging is a statewide agency created by the Virginia General Assembly. Its mission is to define and protect the quality of life for older Virginians so that may remain autonomous, contribute to their communities, and have access to resources for continued learning and personal growth. The Virginia Department for the Aging fosters the independence and well-being of older Virginians and supports their caregivers through leadership, advocacy and oversight of state and community programs, and guides the Commonwealth in preparing for an aging population. Virginia’s public mental health, intellectual disability and substance abuse services system is comprised of 16 state-operated facilities and 40 locally-run community services boards (CSBs) The CSBs and facilities serve children and adults who have—or who are at risk of—mental illness, serious emotional disturbance, intellectual disabilities, or substance use disorders. Virginia Health Information' is a resource for patients and consumers looking to learn about and compare options on everything from obstetrical services, to heart care, to pricing information on commonly performed medical procedures. The Department of Rehabilitative Services provides services to help Virginians with disabilities become more independent and self-sufficient. In keeping with our mission and values, our knowledgeable and talented employees work in partnership with people with disabilities, their families, and public and private service providers to ensure high quality, timely and efficient service delivery. The Virginia Office for Protection and Advocacy (VOPA) helps with disability-related problems like abuse, neglect, discrimination and also help people with disabilities obtain services and treatment. The Senior Citizens Handbook is a resource for seniors, their families, and their caregivers to provide an overview of and contact information for opportunities and choices facing senior citizens today, with a summary of how specific laws affect Virginia's elder citizens and practical advice on issues such as Medicaid, Alzheimer’s Disease, landlord-tenant relations, and much more.